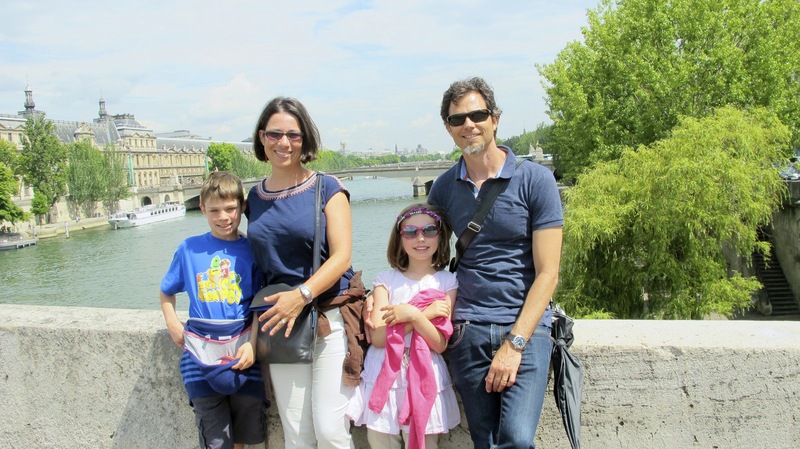 We are a family of four who decided to uproot our life in Sydney, Australia to live in Spain for a year. For a long time we couldn’t voice our dream of living in Spain for fear that we wouldn’t be able to make it happen. Interestingly, it wasn’t until we had the courage to talk about it that the idea began to take shape and we realised we could actually do it. What ensued was a highly creative period of defining and executing a vision of the sort of life we wanted to lead during a year away. Mum – I have a had a weird and wonderful working life starting out in the Hollywood film industry, followed by 10 years of environmental advocacy campaigning with Greenpeace, World Wide Fund for Nature (WWF), International Fund for Animal Welfare (IFAW) and the Australian Conservation Foundation (ACF). In recent years I’ve had a career change and now work as a leadership development consultant and facilitator for a mix of clients. I really enjoy the diversity of the issues, people and organisations I work with because, for me, variety is the spice of life. I have always been passionate about exploring the world beyond Australia and have a love of learning languages, particularly after my AFS exchange year in the French part of Switzerland at the age of 16. Yoga, dancing and nature keep me sane, especially swimming and walking in my special place: Bondi Beach, while spending time with my family and friends brings contentment and a sense of belonging. I love great films and am also an online activist, supporting global action on climate change, universal education and health care. The year we spent in Spain was an incredible dream come true full of adventure, reconnection to our European heritage and great learning. Adjusting back to life in Australia has been an interesting process of appreciating the familiarity and simultaneously missing our Spanish life. What I am particularly enjoying at the moment is helping and advising other families to embark on their own Spanish adventures. Dad – I am the Finnexican (Mexican/Finn) living in Australia for 20 years. I love technology which helps as I work in I.T. at a large university in Sydney. I am also the cook in our household and I enjoy spending time with my family. I am so happy that we managed to fulfil the dream of living in Europe for a year. It was very special to share the experience as a family and to watch our children learn a new language, culture and all about their lineage in Finland and Hungary. We will be forever connected to Europe even though we live so far away. 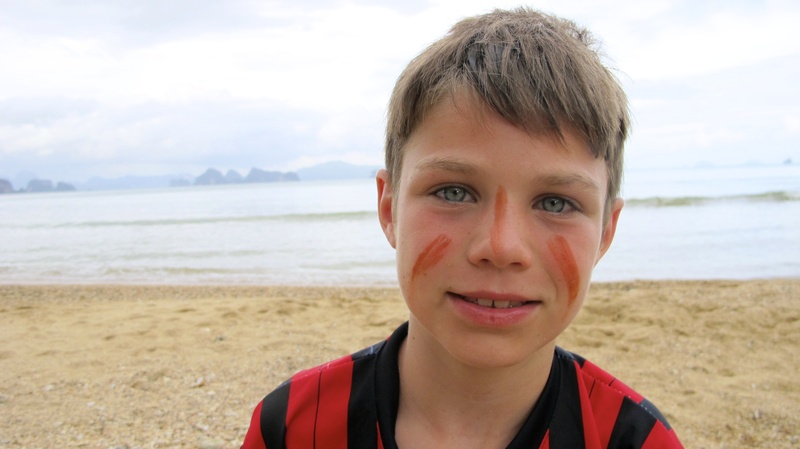 Brother – My favourite things to do are to play tennis, soccer and reading. During our year in Spain I had so much fun with my friends from school. We all played on the local Albaicin soccer team called Rayo Eneas and also played soccer as much as we could at school. Collecting soccer cards from the Spanish League and the World Cup was a big thing in Spain which I loved as in Australia you can only collect rugby cards and I don’t follow rugby. When I wasn’t playing soccer, I was playing tennis with the Granada Junior team called the Benjamines. 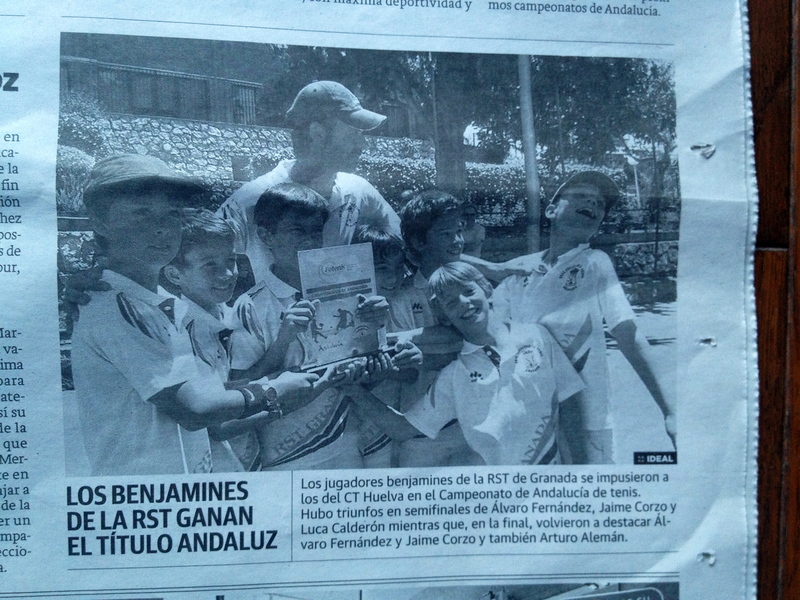 I was so excited at the end of the year when we won the Andalucian Championship title for Granada and had our photo in the newspaper. 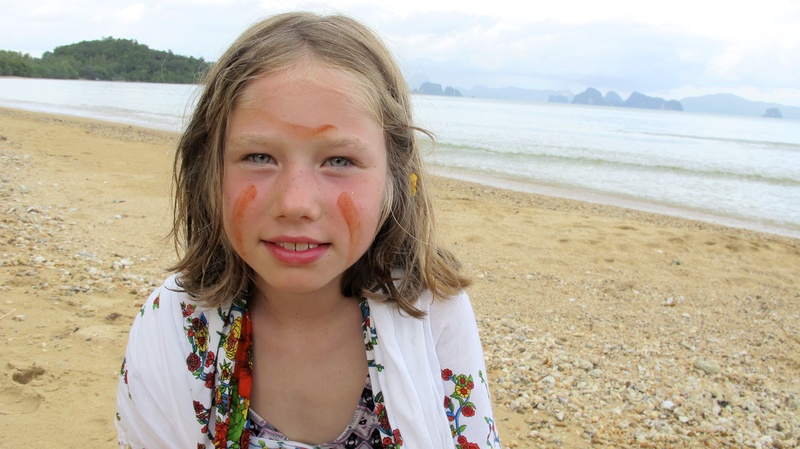 Sister – I love drawing, dressing up, dancing, travelling and eating new and exotic food. During our year in Spain and Europe I just loved catching planes and trains to new and different places. The languages were so interesting as was the different food I tried. I met lots of my family and cousins in Finland and friends of my parents in Switzerland, France and Hungary. Often I played with kids who couldn’t speak English or Spanish so we played games using sign language and actions to communicate. In Spain I loved all the festivals where people dressed up in their traditional clothes and danced. At the very end of our year in Spain, my Grandpa came to visit and bought me my very own Sevillana dress that I wore during the Granada Feria and at other festivals. I just love it and enjoy dancing in my Spanish costume. My mum is having a big Spanish feria party soon for her 40th birthday and I cannot wait to dance in my Sevillana dress for everyone. The Spanish transformation is complete. Fabulous idea guys, you can make it happen! And I will bevery jealous. Our five year plan was twelve months in south america, but I think that five years has passed us by. I still hold hopes that it will happen. As for scholing the kids,they will be fine. My family lived in Chile for a year in the early 80s with no spanish or family conections. My sisters and I all went to school, aged 5, 8 and 9. Chile was very much a developing country back then in the middle of a military dictatorship soon after a coup. I admit as a kid I found it pretty hard work, but the experience changed my view of the world forever and opened my eyes big time. I wouldnt have done the things I have done since nor been to the places that I have without that experience. Good luck in your planning. What a rush! Thanks for the encouragement Arwen! Sometimes I really need it as I think we might be crazy! Hi guys. Best of luck for your preparations and move. I am good friends with Michele and she told us about your impending move and adventure. We are just into our 3rd year of our “year away” in France. It has been a roller coaster but generally a great one,always interesting, hard, horrible in moments, truly brilliant in others, challenging individually, as a family, linguistically, socially and emotionally (actually and physically too for me anyway! ), fundamentally character and life changing for us all. Glad we did it. I am very envious of your Spanish friend though. We could have done with one of those before we came. As it was we found a great community here where we live in the Alps, so struggled for a while and then slowly slowly started to work out which way was up. The biggest challenges really came from the kids settling in and watching them struggle without being able to alleviate it much. Feel free to contact us if you want to chat at any time. Michele has my details. Thanks Christine! So glad that you have a blog too that i can subscribe to. I would love to know more about the transition for the kids into a new language and culture as this is my only real worry about our trip. Thanks Anne for the support and advice. it’s nice to know people have been there before us and survived (more than survived in fact). Maybe we will se you in Germany next year or the year after as it may be closer then Sydney to Perth!! Hi, I just found your site and love what you are doing thus far. We are an American family doing what you are going to do. We are in Costa Tropical, just South of Granada. Keep it up! I totally understand how much the planning and waiting can get to you. You sound similar to me with all of the obsession with Europe and up late at nights browsing the internet. 🙂 Good Luck and if you think I can answer any questions you may have, just ask. Sydney Distance Education have been amazing although the workload was quite big and hard to keep up with while travelling! Well helloooo there! You have very cute kids and a nice little blog going here! Was nice to meet you tonight. See you again soon! thanks Josh! great to meet you last week and I have been enjoying your blog! 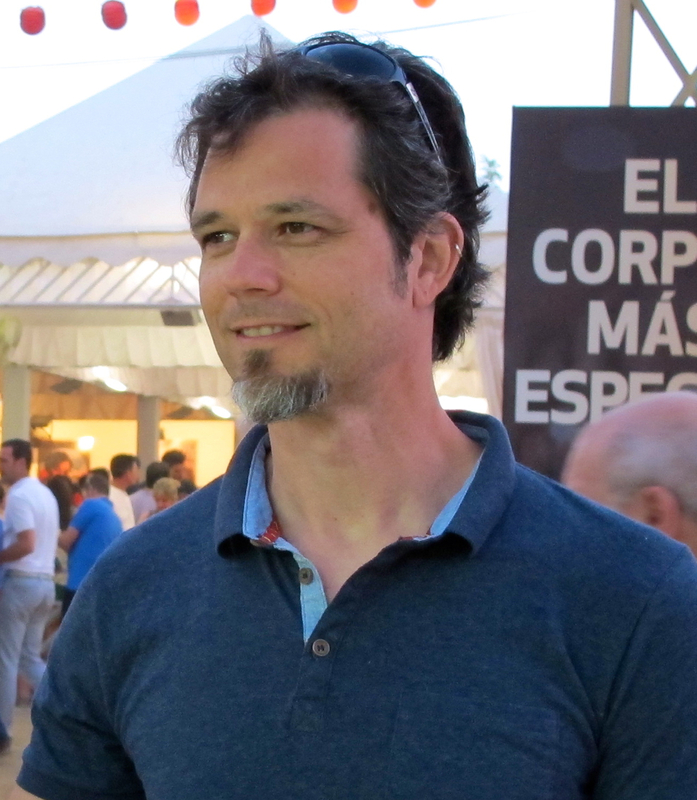 We quite enjoy your blog about living in Spain, it is very interesting and informative. Would it be possible to interview you to further share some of your tips and feature some of your first hand experience as an Expat and your interview will be published on our Expat Interview section as a guide for our expat readers. The questions are mainly about the day to day lifestyle of an expat. If it would be possible, could you also send some photographs that we can use?